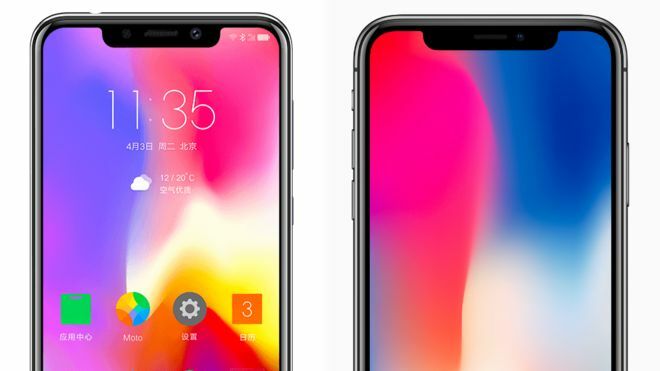 Smartphone brand Motorola has been criticised for revealing a "shameless" copy of the iPhone X as its new model. 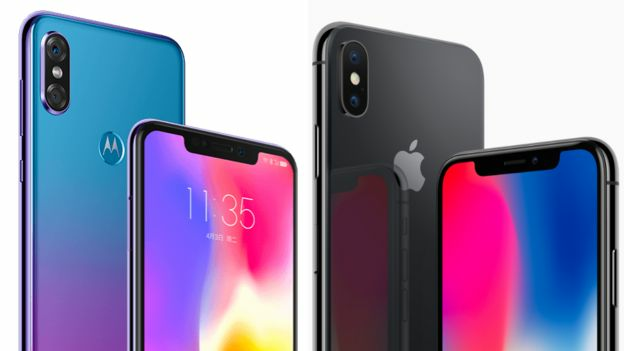 Many phone-makers have copied the look of the iPhone X, which has a smaller bezel around the screen and a "notch" at the top that houses a camera. However, reviewers said the new Motorola P30 was a "brazen" and "egregious" rip-off of Apple's flagship device. Lenovo, which owns the Motorola brand, has not yet responded to the criticism. Motorola was a pioneer in the mobile phone industry, but its sales fell in the smartphone era and its handset division was sold to Google in 2012. The division was then sold to Chinese computer firm Lenovo in 2014, where it has continued to produce smartphones running the Android operating system.